World largest Technology Show is started in Las Vegas already, as always companies are displaying their upcoming products for the market. Every year this show host approximately 20,000 latest products. However, big companies like Microsoft, Apple, Google, Amazon decided to opt out from the show from last few years, but number of attendees continue to climb. This year "Roll-able TV" by LG catching the eyes so far and seems big hit currently, this TV can be use in three modes. 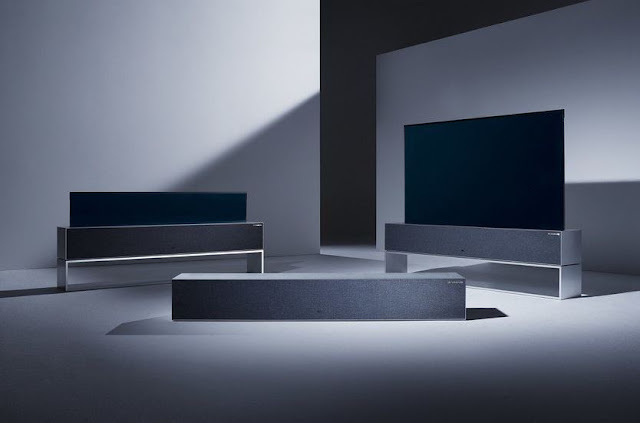 Zero View: TV Will hide completely and it will be in speakers mode only and users will be able to listen Music only in this mode. Amazing thing will be Alexa, Google, Siri will be able to control the TV. LG Marketing head said this Futuristic TV designed as per the market need. LG said it will be Computer in shape of a TV where users can watch and do so many things which current TV available in the market does not offer.